musimelange is a true concert experience in the comfort of The M Building paired with gastronomy and a wine tasting. It continues the tradition of the salons from the Belle Epoque, where important public figures, artists, writers and musicians were introduce to their friends in hopes of inspiring a flow of ideas and creativity for an enriched life. At musimelange, we believe that a beautiful life is made by beautiful experiences. Over the years spent traveling and living in various parts of the world, French violinist and musimelange founder, Anne Chicheportiche shares with you today, the love of amazing music making and different cultural influences by extremely talented artists. For every intimate chamber music concert she strives for balanced energy and harmony. An advocate for elegance and beauty, she believes that these are essential ingredients for classical music. 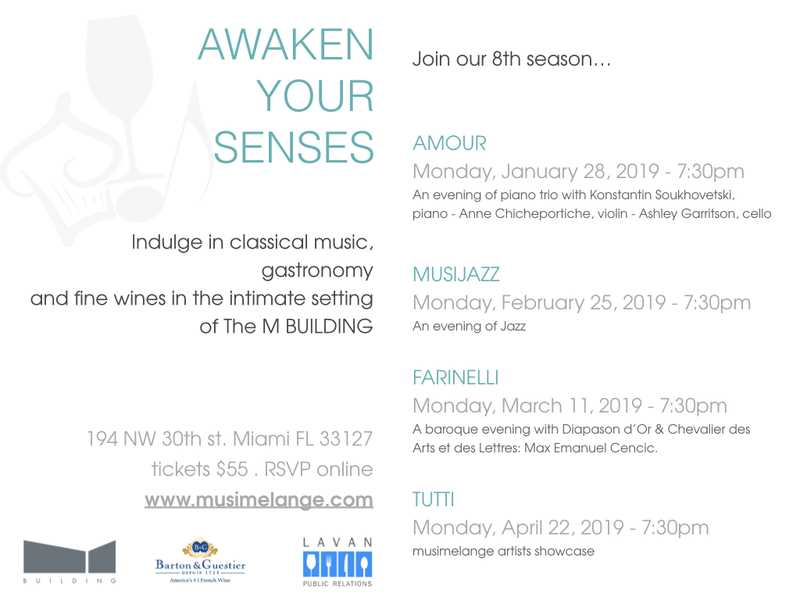 Her goal for musimelange is to invigorate your soul and awaken all of your senses by experiencing classical music, unique culinary adventures and sophisticated wine & spirits. 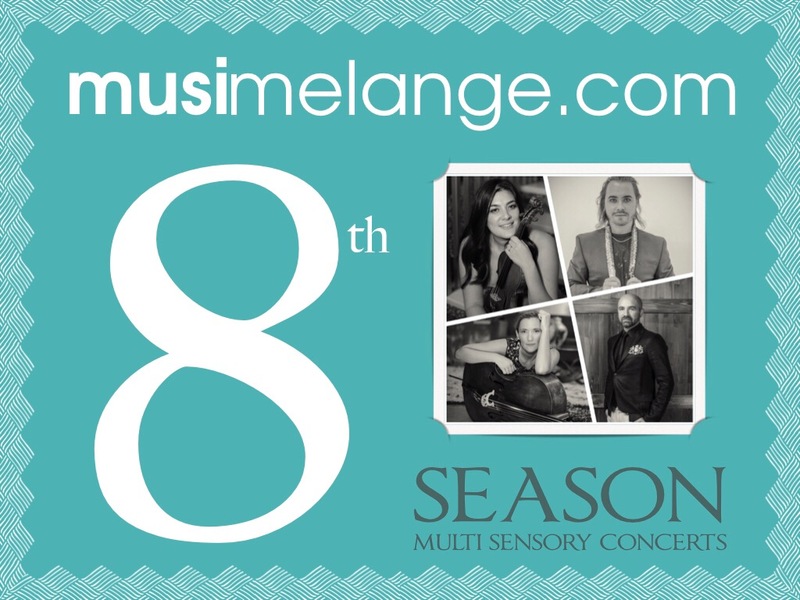 For each soloist or ensemble that Anne invites to musimelange, she creates a customized a chamber music concert, specially designed for the musicians to spread their love of classical music with a unique evening of effortless elegance and to connect with audiences outside of a Symphony Hall.